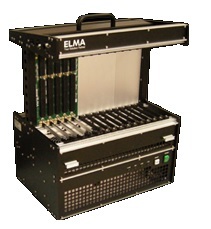 Elma Electronic Chassis Platforms are based on proven, modular design concepts that provide ideal solutions for applications ranging from 19" Rack, Test & Development, to Deployed environments. ​19" Rack-mount Chassis Platforms - for a wide range of cabinet based applications, engineered and design optimised for: Industrial, Economic, Elegant, Universal, and Rugged Deployed use. Each enclosure Type is based on Elma's modular design methodology providing countless combinations of slot count, backplane architecture, power, cooling, height and depth at reduced cost, lead time, and program risk. Sizes are available from 1U through 14U to house VME, VPX, VXS, CPCI, ATCA, MicroTCA and Mother Board architectures. 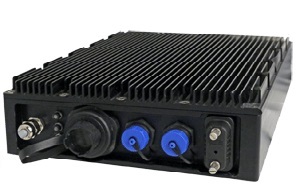 19” MIL Rugged Chassis Platforms- Type 12R1 and 12R2, 19" rackmount enclosures are designed to meet the harshest Military and Industrial standards in deployed applications. 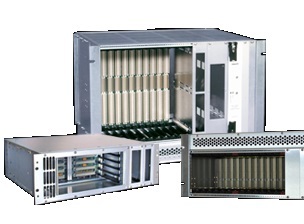 The COTS 12R1 and 12R2 family of enclosures are a high quality and cost-efficient rugged package for all VME/VME64x, CompactPCI, VXI, VXS, VPX, and MicroTCA applications. The rugged product line includes 3U-14U models. Shock-isolation is optional. Intended to withstand the demands of a military environment, the 12R1 (light weight) and 12R2 are designed to meet benchmark military standards. Both the 12R1 & 12R2 use honeycomb filters, braided gasketing, and metal impregnated gasket sheets to seal off every external seam to ensure compliance to MIL-STD-461. 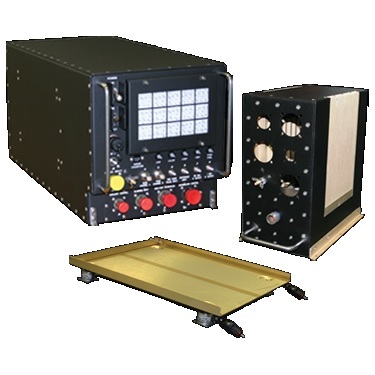 ATRs - Elma Electronic's full line of convection, conduction and liquid cooled ATR enclosures support a wide range of rugged Airborne and Mobile deployed applications. Elma Electronic ATR enclosures offer a standardised, cost effective solution for VME, VME64x,cPCI, VXS, VPX, MicroTCA and Small Form Factor (SFF) based applications. They are available in 1/4, 1/2, 3/4, 1 and 1 1/2 ATR tall long formats per ARINC 404A, ARINC 600 specifications. Small Form Factor (SFF) Platforms - With a focus on Size, Weight and Power (SWaP) SFF platforms are engineered to the highest performance. This powerful combination of proven design expertise and products enables Elma Electronic to offer a platform perfectly tailored to meet your project requirements.